The Rutgers University Ranking is 50th of the USA colleges and 61st on the University Review World Ranking List. It is ranked as the 70th best college in the states by the USnews, and the 177th best by Forbes. The Rutgers University tuition fees are $13,813 for in-state and $28,591 for out of state students. It is a selective college accepting 59.5% of applicants. Financial aid offered totals $227.5 million per year, an average of $12,774 per student. SAT scores for Rutgers University admission requirements (25th-75th percentile) are Math 560 – 680, Reading 520 – 630, and writing 560 – 640. The total composite SAT range for accepted applicants is 1090 to 1330. The requirements for ACT (25th-75th percentile) are Composite 24 – 35. The admissions varied between schools, ranging from 24 – 29 for study at the Mason gross School of the Arts, to 32 – 35 for the Ernest Mario School of Pharmacy. Other ACT scores for the last intake (Fall 2014) were as follows: School of Arts and Sciences (25 – 31); School of Environmental and Biological Sciences (25 – 31); School of Engineering (28 – 33); and the Rutgers Business School (28 – 32). 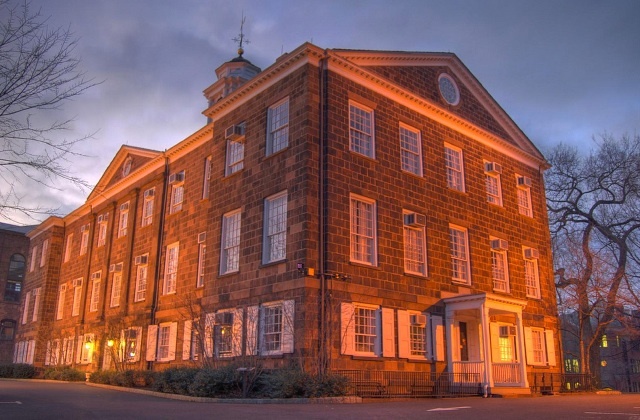 The Rutgers University is located in New Jersey and was founded in 1766 as a public institution having been proposed by Henry Rutgers. 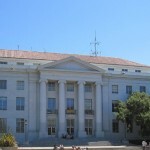 It is set in an urban campus. Photograph of the Old Queen’s buiding of Rutgers by SCholewiak. Rutgers, The State University of New Jersey, New Brunswick, NJ is ranked as the 50th best university in the PBA American College rankings, and 60th best by the USnews. There are around 38000 undergraduate students and approximately 12000 postgraduate scholars at the Rutgers University, in addition to the 2000 staff and faculty. The president is Richard L. McCormick. The schools mascot is the Scarlet Knight. It is a member of the Big East athletic conference. The libraries at Rutgers contain around three and a half million books. In all, there are twenty six different libraries belonging to the three campuses that make up the Rutgers system. 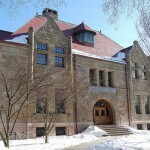 As a member of the List of Public Ivy Schools, it is closely associated with institutions such as The Ohio State University, University of Colorado at Boulder, University of California, Santa Barbara, and Michigan State University. Other colleges in the state include the NJIT, Rutgers Biomedical and Health Sciences, and Princeton. Motto: Sol iustitiae et occidentem illustra – English: Sun of righteousness, shine upon the West also. Rutger’s University Location Main Campus New Brunswick. Other Campuses at Piscataway, Newark, and Camden (all in New Jersey, USA). Rutgers University; New Jersey Colleges List.